My name is Mpho “fitmom “Motaung. I’m a wife, Mom, a backyard farmer, a social/ lipstick runner and a 3 times Comrades finisher. I am “that mommy” who is always wearing sports clothes when dropping off my Princess at school and always encouraging and recruiting other mothers to start running. I live by the Hashtag #Fitmothersarethefuture. I started running in February 2013 as a way to clear my mind from work stress, Did my 1st marathon in August 2013 the Mandela Marathon , it was so hard i was sore and scared but after pain came happiness and ever since then I never looked back! I figured out that running is something else other than a sport, it heals one’s soul. Running is life.The more i run the more I make friends, the more i love my body Not because it’s perfect but because with every kilometre it is proving to me that I am capable of more than I ever thought possible. When I get tired, I remember those who can’t run, what they would give to have this simple gift that I take for granted and I run harder for them because I know they would do the same for me. 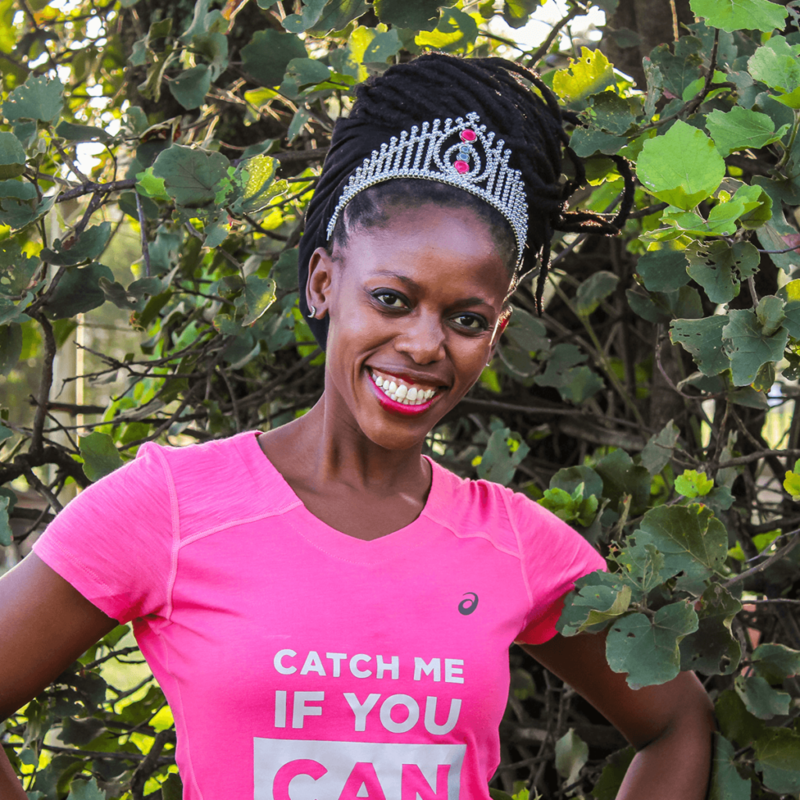 Download the App to join Mpho’s Group Runs.